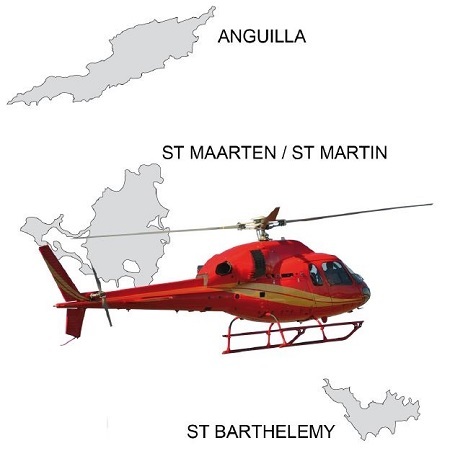 Airport -- AirStMaarten introduces the new Eurocopter AS355N 5-seater twin-engine helicopter for its St. Maarten, St. Barths, Anguilla inter-island helicopter charter service and island tours for the 2016 high season. The company is now accepting reservations for its new helicopter service. Interested parties can submit a reservation request via http://www.airsxm.com/request.php. It has been a number of years since we have been looking for a new partner to provide helicopter services for our high-profile, high nett worth and discerning VIP clients. We are happy to be able to utilize the new Eurocopter AS355N 5-seater twin-engine helicopter aircraft for our heli-charters, sightseeing tours and aerial photography shoots for yachts, hotel properties, photo journalists and film crews. 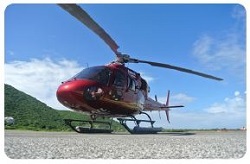 Click on the button below to book a helicopter tour!